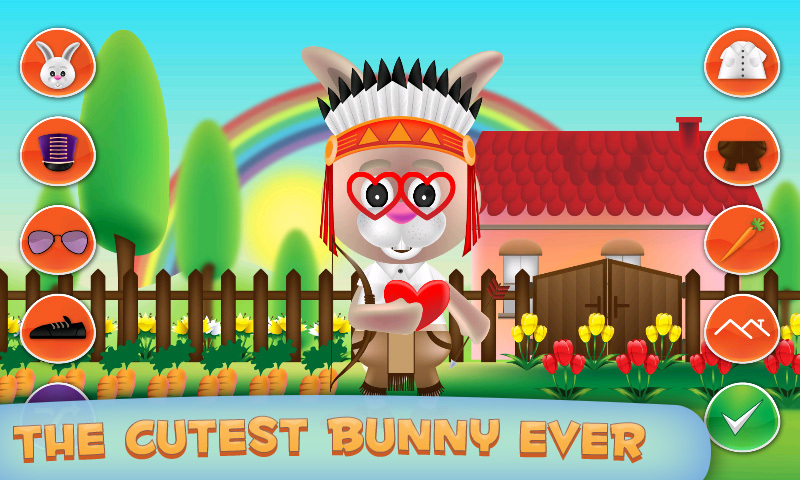 ღ BUNNY HOPS, BUNNY BOUNCES from one Android to another spreading the joy and fun. Bunny Dress up game is now at your door, so download free app and let honey bunny in! 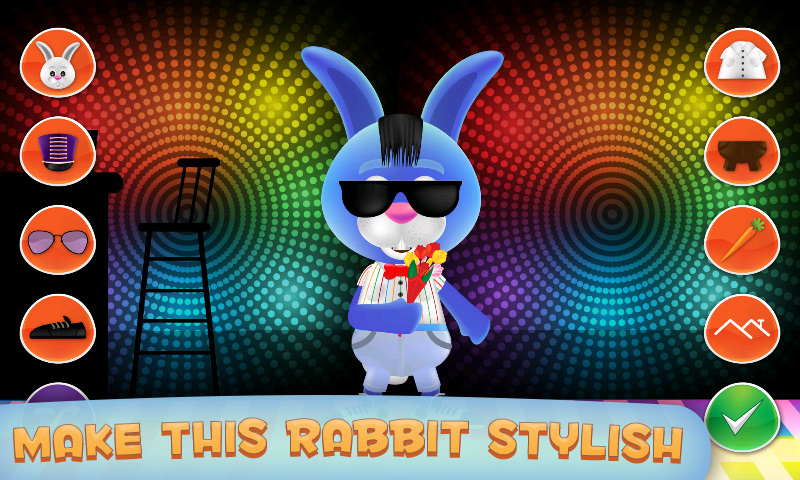 This is not a usual bunny game. 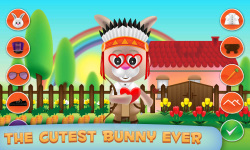 It is so cute and sweet that will make your blood sugar rise rapidly. 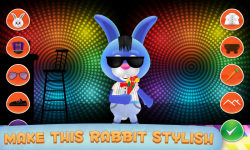 Plus, it is not a standard pet game with either a cat or a dog, but instead, it features this unusual bunny pet. 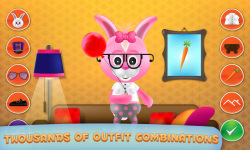 This is a new dress up game in town and you should follow the latest trends and fashion and enjoy Bunny Dress Up game! 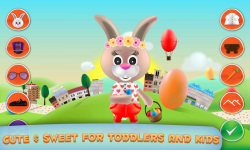 • Download Bunny Dress Up • Turn on or off the music in the game • Press “PLAY” to start the game • Choose the button with a piece of clothing, accessorize or background • Click on the button until you find the perfect item • Click on shuffle button to make a random combination • When you are finished click the button “✓” • Share your bunny image to all of your friends or just keep it as your wallpaper Dress up Bunny and you and him will feel funny!